Office Depot's Workonomy Tech Services division and CompuCom subsidiary will install and connect Google and Nest products to other smart devices in home out of its 1,400 retail locations and website. Office Depot is now a certified installation partner for Google and Nest smart home devices, and customers can now purchase Google Home Minis and Nest cameras in-store. It looks like big retail is getting much more interested in custom installation. Office Depot, Inc. (NASDAQ:ODP), with 1,400 retail locations and a thriving e-commerce website, is the latest to enter the fray with its announcement it is now a certified installation partner for Google and Nest smart home devices via its new Workonomy Tech Services division. This means customers can buy Google Home Minis and Nest cameras, thermostats and more from Office Depot, and also have them installed and connected to other smart home devices as well. As a Nest Pro Partner, Office Depot’s Workonomy Tech Services can install a single device or integrate several smart devices, creating a secure integrated smart home or office. “As a Nest Pro Partner, we are offering smart home consultation and installation services across our approximately 1,400 retail locations and e-commerce site." “This is a collaboration we’re excited to be a part of and see major future benefit as we continue expanding our service offerings,” says Janet Schijns, chief services and solutions officer for Office Depot, Inc.
Office Depot's CompuCom subsidiary will leverage its technicians to offer installation services of Nest and Google smart devices. According to a press release, Google provides Office Depot's tech experts with "exclusive training, tools and live VIP support, ensuring that every Office Depot customer gets their smart home or office service from the best trained professionals." 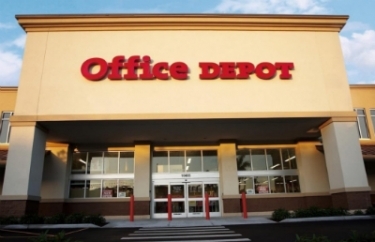 Office Depot’s new smart home and office installation services start at $99, however, during the month of December only, the company is offering all customers $20 off in-home or in-office installations. I have to agree with Adroit1. Our top installations are A/V, followed by Network, followed by Smart Home. To compare, I took a look at what their network installation provided—Install network and configure up to 2 computers and 1 peripheral. Yeah, I guess if all you do is plug in a low-end WiFi router and configure the three devices, you might be able get in and out in less than 30 minutes and be able to make a small bit of money at the $99 price-point. The typical network we install isn’t so simple. Our customers want the whole house and all of the surrounding property to the property line lit up. A simple install for us is a high-end WiFi router, an access point (meaning we crawl attics or under the house), mounting network devices, dressing and labeling all cables, configuring multiple computers and peripherals, configuring A/V equipment in multiple rooms, and training the home owners on how to set up their guest’s devices on their new guest network. And that’s a simple network. We often do multiple access points, out buildings (pool houses, shops, etc.) connected to the network with bridges, etc. I wasn’t able to find pricing for add-ons to the base service, so I couldn’t compare what they were offering to our real world work. It would be interesting to compare that pricing to ours.